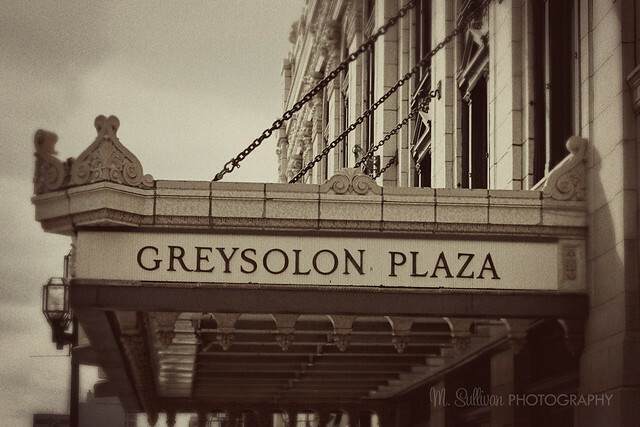 Greysolon Plaza is a beautiful old building in downtown Duluth. 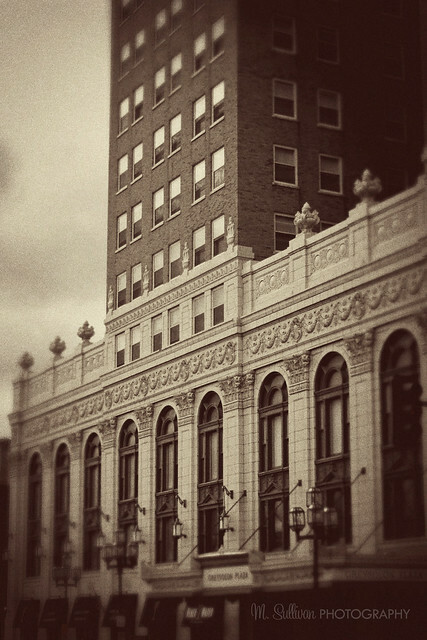 When it was built in 1925, it was known as the Hotel Duluth. 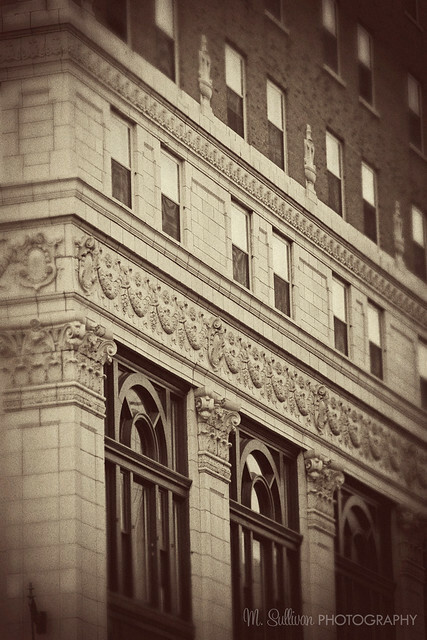 Although the hotel rooms were converted to apartments many years ago, the ballroom and other areas have recently been renovated to their former beauty. 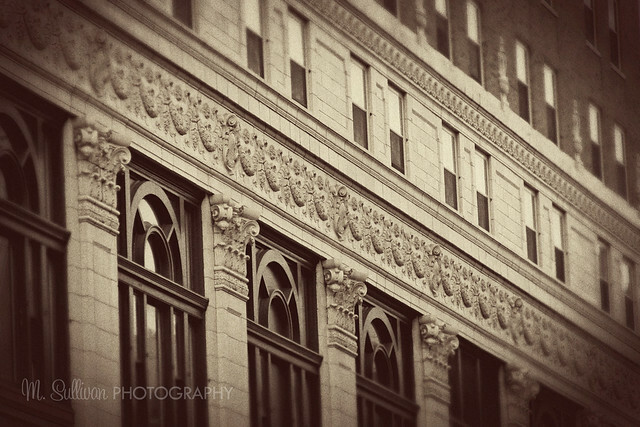 The exterior of the building is just as beautiful with its ornate features. 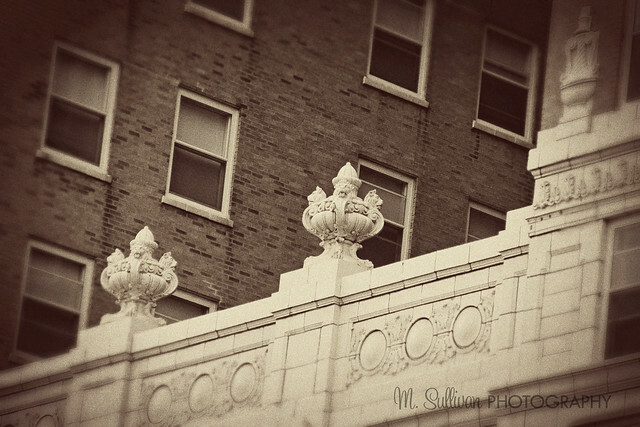 I played around with these photos in Photoshop to give them an antique feel as though you were looking at old photographs taken just after it was built.